One thing that I often look forward to when visiting the island of Boracay is what something new that this island has. Though there’s already a lot of adventure in place that can be done in the island but the list still continuously grow with new things and adventures. 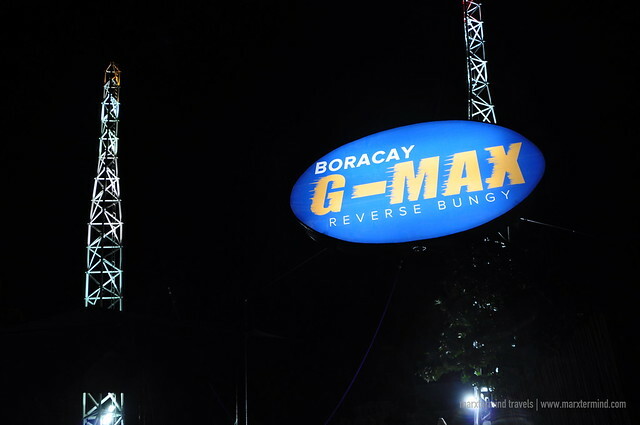 Just like when we had visited Boracay last month and experienced the newest exciting ride that is already making rave in Boracay, the G-Max Reverse Bungy. 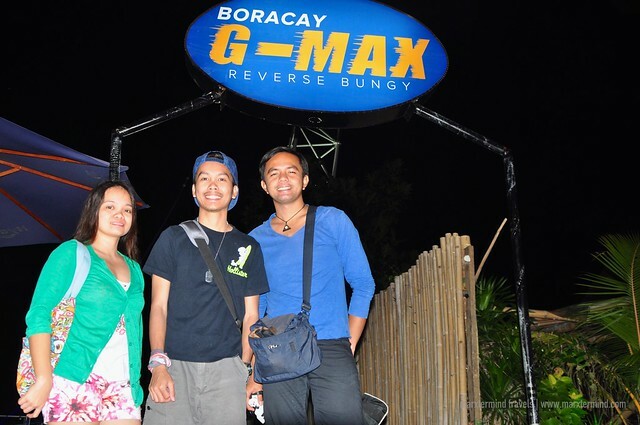 The G-Max Reverse Bungy is the latest extreme attraction in Boracay. 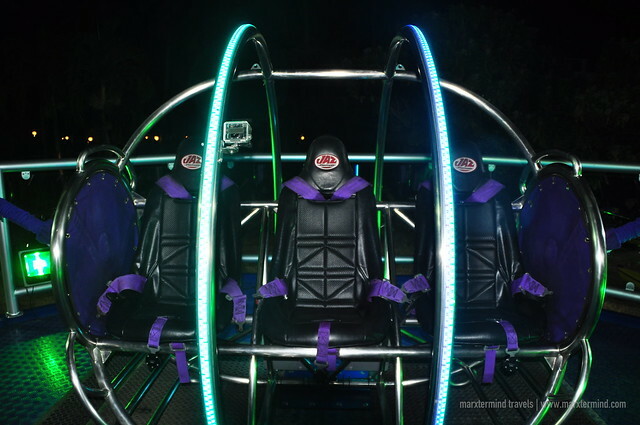 The ride is originally from New Zealand and is being operated by Pacific Rim Group of Companies. I’ve learned about this ride few years back when my friend posted a video of her and her brother on a G-Max Reverse Bungy ride in Singapore. Seeing that video instantly made me interested to experience it. I’ve waited for so long for me to be able to try it because it was just in December of 2014 when the extreme ride has been finally brought to the country. So when I learned that its first attraction in the country is in Boracay, I didn’t hesitate and grabbed the opportunity to experience it. It was just an hour after we had finished our island hopping activity when I asked my friends if we could already go and try the G-Max Reverse Bungy ride. We were all thrilled – good and bad kind of thrill. 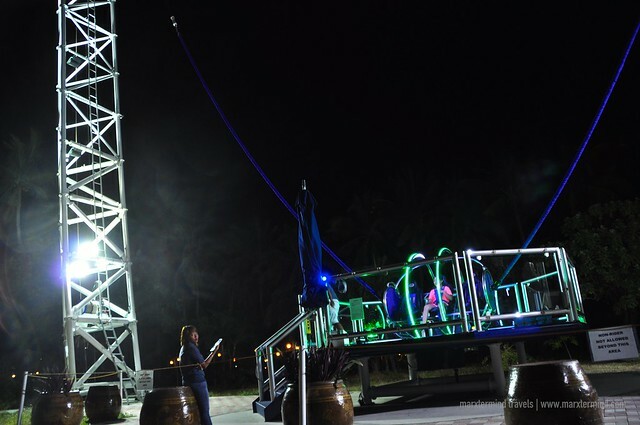 The extreme attraction is located at the front beach of Station 3 beside the Paradise Garden Resort. Getting there is easy by riding a tricycle at the main road, and from the main road of Station 3, there’s an alley that goes to the beach area. As we walked to get to the attraction area, I could sense how edgy my friends were, most especially Paula. In some point, she hesitated and thought of backing out but I insisted that we have to try it altogether. We didn’t take the ride immediately when we approached the area of G-Max Reverse Bungy because we would want to gather some courage first to face the rush of this extreme adventure. We let someone go first and observed the ride – how many minutes before it set out, how many minutes the ride last and some other petty details that added to our emotional torture. G-Max Reverse Bungy is comparable to a stone in a slingshot and riding a rocket launch. The ride gets adrenaline pumping as one is propelled 50 meters high at a speed of 200kph, letting gravity to have a little excitement. 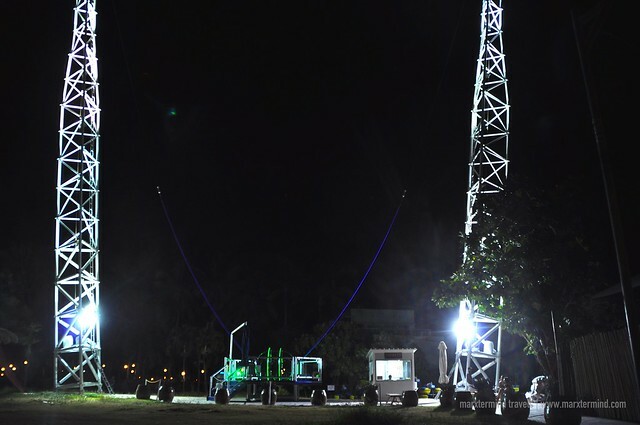 G-Max Reverse Bungy is the first of its kind in the Philippines. It was said to have a 100% No Accident Safety Record for over 1 million riders. The reverse bungee ride lasted for about 9 minutes. I’ve heard the scream and I’ve seen the thrill when the rider completed the ride. Then I’ve realized, it was our turn now. There were no more second thoughts. We’ll be doing the ride eventually, so there’s no reason to delay the agony. “Let’s do this”, I’ve told myself. Before taking the ride, we were asked to fill up the waiver and take off any loose objects that we have. We were advised not to wear our footwear, as well. The ride can accommodate three rides at max. Paula and I sat at the outer ones while Marcos sat in the middle. The moment that three of us were all buckled up, my emotions suddenly got mixed up with nervousness, anguish and excitement. My heart then suddenly started pounding wildly when the smoke appeared. That was our cue that shortly, our seat will be shot up in the air. In 3, 2, 1… it was nerve wracking. 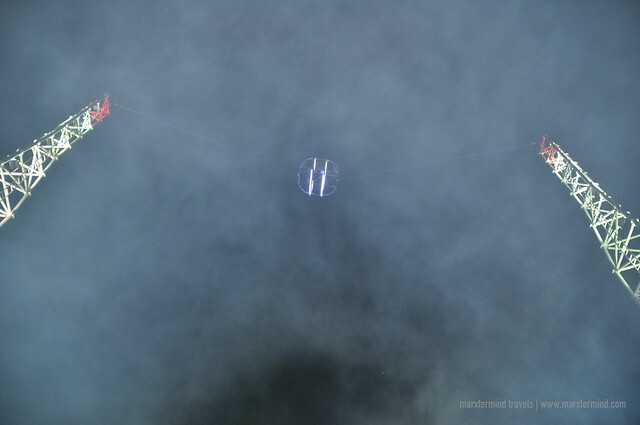 We were thrown in the air and I heard the loudest scream that Paula and Marcos had in their entire life. The waiting time is what made it so really nervous but once you’re in the air it was all excitement and fun. Well, at least for me. But the most fun part of our G-Max Reverse Bungy experience is watching our video afterwards – how we looked like during the ride. And I’m telling you, it was crazy. 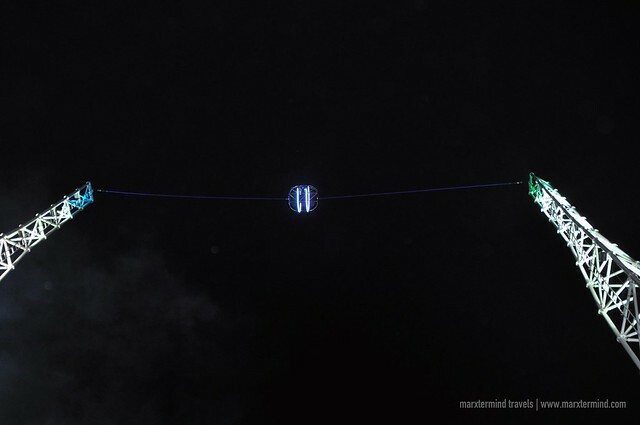 The reverse bungy ride is certainly an adrenaline pumping and an exciting experience. It isn’t for faint hearted but the ride is worth trying for thrill seeker. After the ride, I felt so happy and satisfied that finally, I was able to experience it. That experience was one of a kind. If I will be asked if I’ll be trying it again, hell yeah! But I would like to try it during daytime next time because seeing the surrounding in a broad daylight that appears to be upside down during the ride seems to be more thrilling. 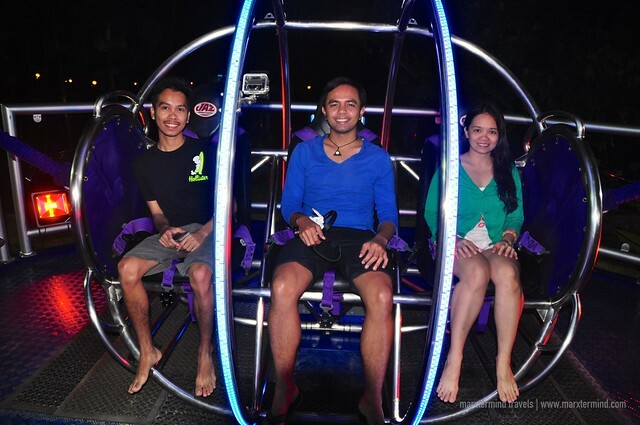 The G-Max Reverse Bungy costs PHP 1,5000 per person per ride. The ride is a three-seater. If you wish to have your G-Max Reverse Bungy experience to get recorded, an additional of PHP 750 has to be paid per ride. The video is going to be stored in a 2 GB USB bracelet with a G-Max logo. 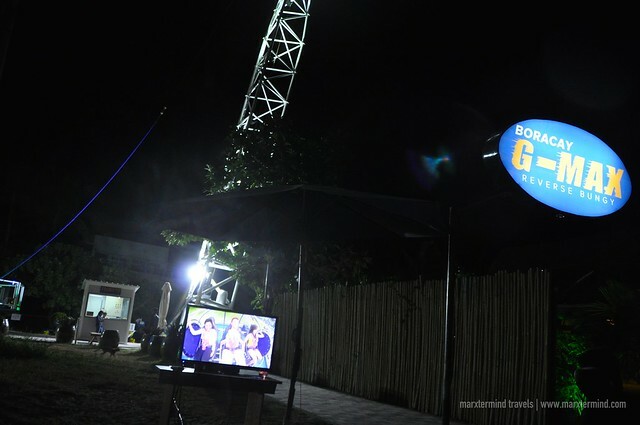 G-Max Reverse Bungy can be a very daredevil experience as you get to face your fear of heights. Once you are able to surpass this challenge, for sure you will be very confident.